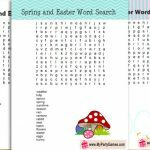 Winter is coming to an end and Spring is approaching fast that is why I have created this Free Printable Spring and Easter Word Search Puzzle. 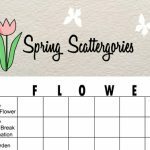 You can print this puzzle using any color printer and can play this Spring and Easter word search game in your classrooms and homes all through the Spring season and also in your Easter parties and family get-togethers. You can also print these games for kids to keep them indulged in a fun learning activity. 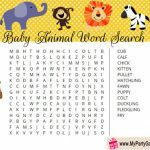 I have made three different designs for this word search puzzle and have also gathered fun and interesting links that I’ll be sharing at the end of this page. 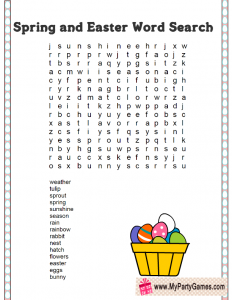 I am also sharing a printable answer key for this spring and Easter word search. 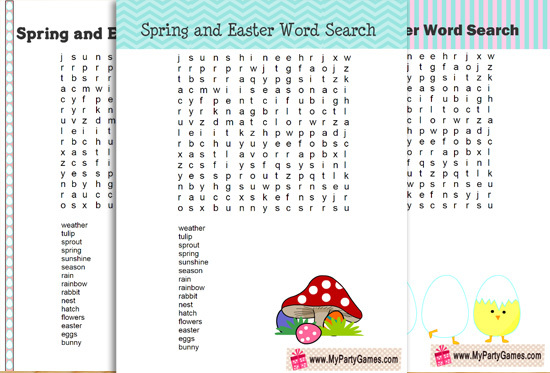 Print and distribute these Spring and Easter word search puzzle cards among the players along with a pen or pencil. 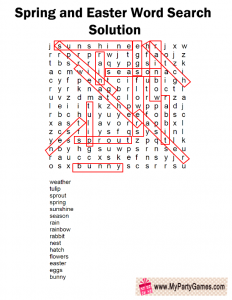 Ask them to find and circle all the 15 Spring related words that are given on this page. The person who finds all the 15 words first, will be the winner. 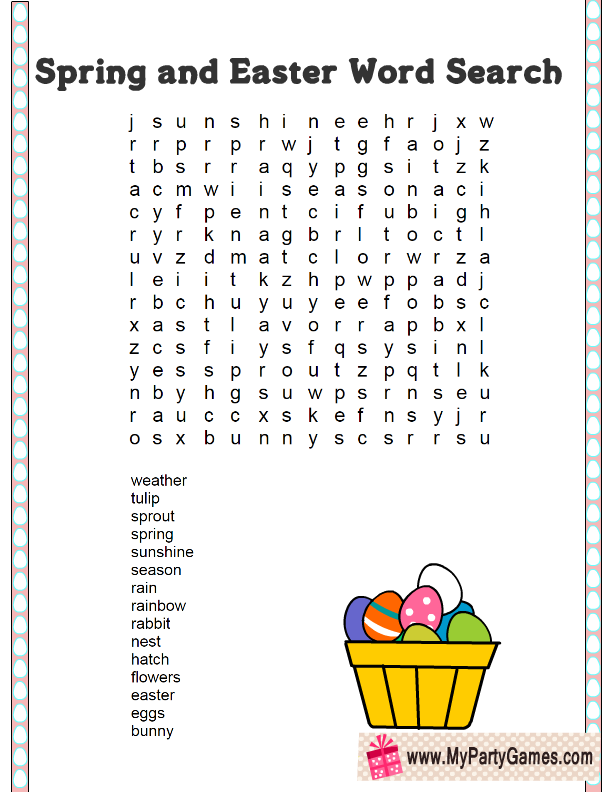 This is the first worksheet that I have created for this Easter word search puzzle. 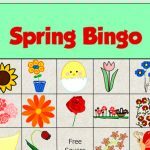 This game card is decorated with a big red mushroom and colorful eggs. Just click on this thumbnail image and a bigger printable image will open up, you can right click and save that image. This is another adorable design that I have made for this game. 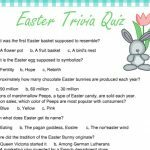 Just click on the thumbnail image and save or print the bigger image that is decorated with many colorful Easter eggs. This is the same puzzle as I have shared above but it has a different design. This cute game card is decorated with eggs and a cute chick. 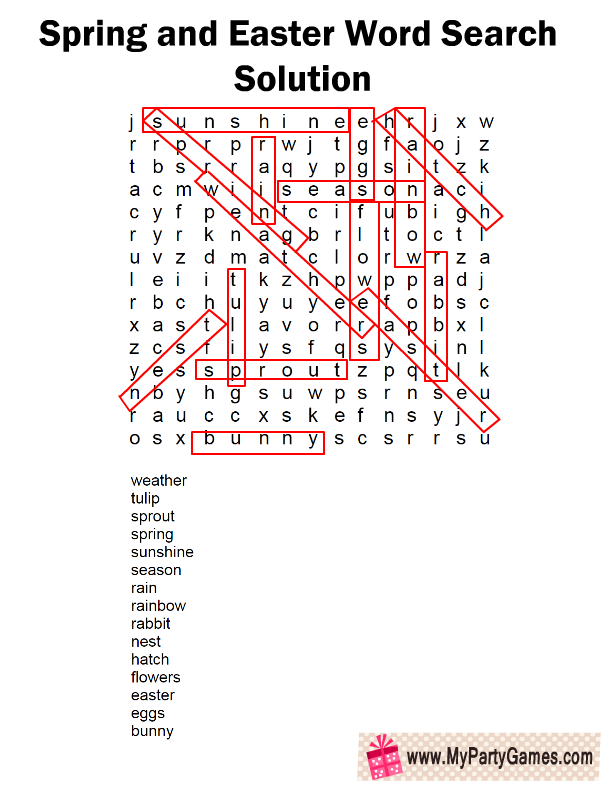 Here is an answer key for this word search puzzle game. I have looked for all the words myself and have manually circled those. 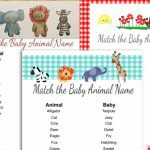 I hope that you’ll print and enjoy this fun game that I have created for you. 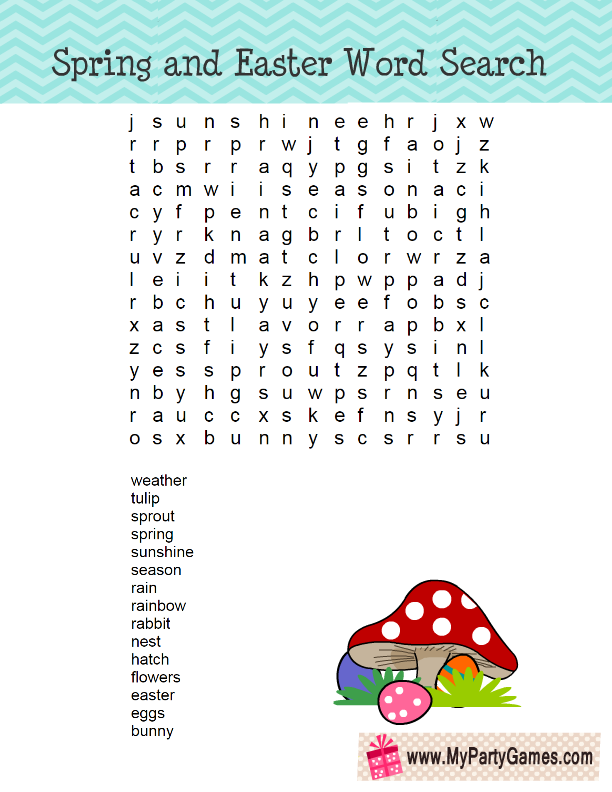 This is a super adorable Spring word search game in PDF format by Grace and Good Eats. 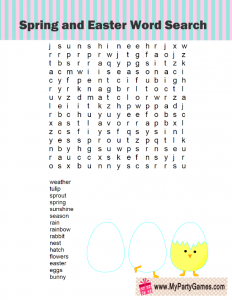 The printable design is decorated with happy chicks, dragonflies, butterflies and Easter eggs. 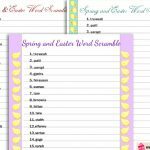 The kids will have to look for 10 Spring related words. 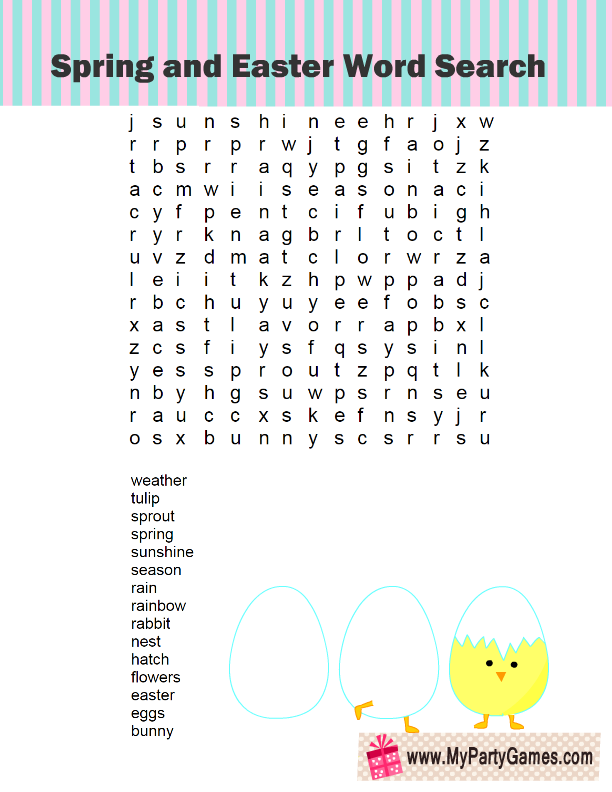 On www.bigactivities.com they have shared Easter word search puzzles of various difficulty levels. Kids can play the word search and can also enjoy coloring the different objects.